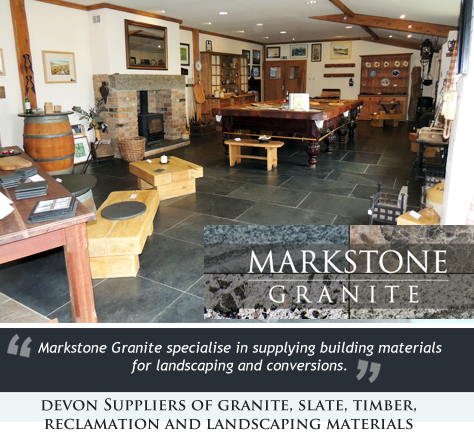 Markstone GraniteDevon Suppliers of reclamation and landscaping materials. Established in 1986, Markstone Granite was originally a small supplier of Granite and Slate. The family run business has now grown in size and reputation with clients throughout the West Country and even some internationally. Markstone Granite specialise in supplying building materials for landscaping and conversions. Markstone Granite are suppliers of Granite, Slate, Timber, Reclamation and Landscaping Materials in West Devon.